A customer recently asked if it's possible to override write-host, avoiding Get-WfaLogger and thus be able to convert existing PowerShell scripts to Wfa-commands by a simple copy-paste. But, to come back to the original question, yes it's possible to override Write-Host. First of all this requires a custom piece of code that is available from within WFA. I would recommend to create you own "WFAWrapper"-script. I called mine "CustomWfaWrapper.psm1". That's correct, I made it a module. This way I can make many other re-usable functions and by bundling them into a single module, my custom code becomes available by simple doing a "Import-Module CustomWfaWrapper". To create a custom module, you need to create a .psm1 file and add your functions in there (just plain text, with any editor you please). Then you need put that file in a folder with the exact same name (drop the extension), in our case "CustomWfaWrapper\CustomWfaWrapper.psm1"
Finally you need to copy that folder somewhere accessible. Either you can put it in the overall Microsoft modules folder (C:\Windows\System32\WindowsPowerShell\v1.0\Modules), then you can just call it like "Import-Module CustomWfaWrapper". Or you can copy your folder to the WFA modules folder (C:\Program Files\NetApp\WFA\PoSH\Modules), which might be a bit more organized, and then you'll need to call it from this path "Import-Module "..\..\..\..\PoSH\Modules\CustomWfaWrapper"
Next, we need to override the Write-Host cmdlet. So a proper way of doing this is creating a custom function/cmdlet and then give it the alias "Write-Host". Now, I don't like the fact that the override is just always there, as soon as we import our module, I rather like something like "Remove-WriteHost" and "Restore-WriteHost". So here it is, just paste these in you custom wfa wrapper module, along with all your other fancy custom functions. Next I add 2 functions, one that creates an alias "Write-Host" and the other that removes that alias. As the alias is also global and is at the top of the executionlist, you have now overridden Write-Host. If you would, for some reason, want to undo this, you simple invoke "restore-writehost". My override function is invoking the get-wfalogger, but you could extend this with writing to logfiles, the registry, etc... Infact, in many of my code, I used log4net, which allows advanced logging. We are only overriding write-host, but you can also override write-warning & write-error if you wanted to. Below is a sample, where I override "start-transcript and stop-transcript" which will start logging write-host to a text-file. I'm using log4net, so you can start setting thresholds, patterns, rolling logs, etc... I'm even abusing the write-host color code to determine if it's info, warning, error. The script above will now override write-host for WFA and also write it to a rolling logfile. 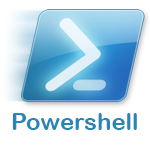 And since start-transcript is a native powershell cmdlet, it will still work outside WFA. Get-WfaLogger -warn -message "[LOG] Repository already created"
Get-WfaLogger -info -message "[LOG] LogFile path is : '$logFile'"
$logPattern="%d %w %-5p %c : %m%n"
Get-WfaLogger -info -message "[LOG] File Logger initialized"
Get-WfaLogger -info -message "[LOG] Event viewer Logger initialized"
Get-WfaLogger -info -message "[LOG] Logger initialized"